A lightweight fleece top is one of the most versatile pieces of outdoor equipment you will ever buy. Unlike heavier fleece jackets, which are fine for winter wear but probably too hot for the summer, lightweight ones can be used all year round. In the spring and summer they are ideal as top layers, worn over a T-shirt or thermal vest, while come autumn and winter they take on the role of a mid-layer garment. Weight is all-important. To qualify as a lightweight fleece, tops should hit the scales at under 500 grams. They will pack down into a nice small bundle for stowage in your rucksack but performance should not be compromised. To achieve this manufacturers tend to leave out some of the features you'd come to expect in heavier fleeces, such as pockets. 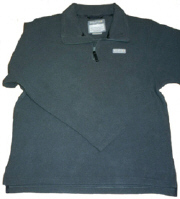 Lightweight tops are commonly pullover-style and usually have a short neck zip, although some do come with full-length zip fasteners. On the performance front breathability is important to ensure moisture is quickly wicked away from the skin and you'll want it to keep you warm too. A mid-layer's prime role in life is to trap body heat while showing sweat the door. Water and wind resistance is less vital in a jacket that will be used as a mid-layer, or as a top layer during the summer. The Yukon is a fleece I've been wearing for a year or so now and it has never let me down. The design is nice and simple with no frills and it's very light, rolling up into a compact bundle for storage. As a mid-layer it's extremely comfortable, either under a waterproof if the weather is not too cold, or below a heavier fleece in more extreme winter conditions. In warm weather it's ideal as an outer laying, either for walking in or just lounging about the campsite. The zipped neck offers good ventilation and has a good snug fit when the zipper is pulled up. The Airglow was the only top we tested with a full length zip. This offers a bit more flexibility, should you become too warm and want to leave the front open for ventilation. Slightly heavier than some of the more basic tops it does come with two zipped pockets, plus a handy wee zipped pocket inside suitable for safe storage of car keys. The fit is excellent, aided by the shockcord hem with a toggle on each side. The fabric is light and has a comfortably soft feel to it, great against the skin. Breathability was very good and the high neck kept any chills out. A nice touch is the soft mesh fabric inside the collar. 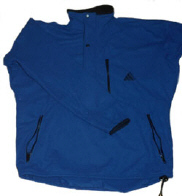 The 3D Micro Fleece jersey does an excellent job at a very good price. The tiny pocket is fine for a set of car keys, a compass or some loose change but could be removed altogether without any loss while the shaped sleeves with their seams will not be everyone's cup of tea. Against this, however, one feature we liked was the thumb holes on the sleeves which allow you to pull the cuffs down over your fingers. 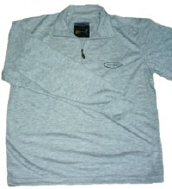 This is a very lightweight and affordable garment which performed exceptionally well, wicking away moisture quickly and being very comfortable when worn against the skin, thanks to the soft brushed inner. The jacket fits very well, although the collar could be higher, and is flexible enough not to restrict movement. Excellent value. A simple functional design, the Concordia can be worn as a lightweight shirt in warmer weathers or as a base layer in colder conditions. On warm summer days it would be ideal for wearing by itself for vigorous activities, such as mountain climbing, running or cycling. There's limited water and wind resistance in this garment, but that's not what it's designed for. Breathability and insulation are, however, crucial and it performed exceptionally well on both fronts, wicking moisture very quickly away from the body and providing plenty of warmth. If you get caught out in a shower, the Concordia's pique construction means it dries very quickly and the whole thing rolls down into a small bundle for stowage. The long neck zip is great for ventilation while the slim cut hugged the body comfortably without restricting movement and there's a scoop at the back. 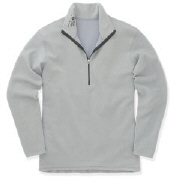 The fleece-lined collar comes up high enough to prevent cold air getting in and the single chest pocket is a useful size, large enough to accommodate a compass or wallet. If you like to get a good sweat up, this is the ideal garment for you, offering great year-round flexibility. The Mardale performed very well when worn just as an outer layer over a thermal vest during some pretty chilly February expeditions into the hills. It was wind resistant and, although not water-repellent, dried out quickly when it did get wet. The long zip allows for good ventilation when you start to overheat and when things cool down it fastens up comfortably round the neck with a flap to prevent the wind whistling through the zip. The drawcord round the hem pulls in for a good fit around the waist and the Lycra cuffs seal comfortably over the wrists. The lower pocket is very much like one of these muffs ladies used to wear with access from zips on both sides and there's plenty of space within for a map and a host of other things. 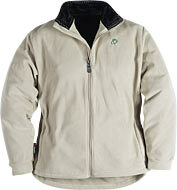 The soft fleece is very comfortable and the fit is extremely good. Highly recommended. The Jura smock has a wonderful feel about it. Inside the fleece is very soft and it's the sort of garment that just invites you to pull it on. On the performance front it proved to be very breathable and warm and was extremely comfortable to wear. The look is simple ' with no pockets and just a small logo down at the bottom ' but stylish and you'd feel at home wearing this on the hills or in the pub at the end of a hard day's walking. The Power Stretch is designed as a reversible top with ''a fuzzy and a smooth side'', to quote the manufacturer. Follow the instructions and the smooth side goes out if you're wearing it as a base layer, while the fuzzy side is on the outside if you are wearing it as a midlayer over lightweight underwear. To accommodate this quick change there is a two-way neck zipper and a logo on each side. However, I found it warmest and most breathable when worn with the brushed side inside. The Power Zip performed very well as a mid layer and was extremely comfortable, hugging the body without restricting movement. It kept light winds at bay and repelled showers. The fabric is nice and stretchy - stretching four ways as promised on the label - allowing for plenty of movement. The high neck collar keeps out the chills while the long zip offers good ventilation. The Power Stretch does an excellent job and looks good style-wise, but at a price. This is an extremely lightweight top that functions very well as a base layer. The fabric is very light and dries exceptionally quickly. It hugs the figure comfortably and is designed as a highly breathable, fast wicking top for vigorous sports such as running, cross-country skiing and cycling. For the walker it is ideal for year round use. In the warm summer months you could wear this as you would a T-shirt when out on the hills. Even in March I wore it over a thermal vest on low level walks and remained comfortably warm and dry. Better still, I combined two of Odlo's three-layer clothing programme and wore it under their Terry Fleece (with a thermal vest as base layer) and was very impressed by the level of protection afforded, even on blustery March mornings on the Angus coast. Which leads neatly on to! The second chapter of the story... 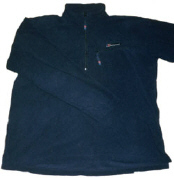 The Terry Fleece worn over the lighter High Performance top offered a superbly flexible combination. I'd have no hesitation in recommending Odlo's layering system which did its job extremely well. The Terry top is made up of a soft terry-cloth outer layer over a comfortable fleece lining. It's lightweight and warm, even as an outer layer in winter, and wicks moisture away very well indeed. Another triumph from Regatta. This is one of the least expensive of our selection of lightweight tops tested, but despite the cash saved there was no loss in performance. The Micro fitted extremely well without restricting movement and kept out the chills very well. The high collar is excellent, protecting the neck, while the short zip comes down just far enough to allow for ventilation. The styling is simple and the top is very light, rolling down into a nice compact bundle for storage. 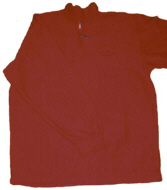 This is an excellent mid layer garment and perfect as a lightweight summer fleece. Great price and performance makes this a definite best buy. 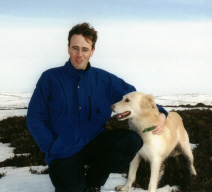 Mountain Range PO Box 1, Alston,Cumbria, CA9 3TS.